I would like to share with you my journey with AVC Elite training. I was a former high school athlete that was gifted with good genes. I was very active in numerous work, sports and other activities up through my early 30’s and never really worried about weight gain or the quality of the food I ingested. It wasn’t uncommon for me to eat fast food, drink sodas in large sizes without any negative repercussion to my body. Then I got promoted into management and started to get older. I continued to eat like I did in the past, but I gave up a lot of physical activity and guess what? I slowly started to gain weight. Over the next 20 years, I focused on my career and paid little attention to my health being so wrapped up with work. I went from 175 lbs in my mid-30’s and finally hit over 225 lbs at 54 years old. My cholesterol was elevated (over 260+) My LDL, HDL and Triglycerides were all in the unhealthy ranges. This was a wake up call….I needed to make a change! Over the years Amy continually shared advice on how to combat the added weight issue with nutrition and fitness/exercise regiments, but I didn’t listen to all of her messages. 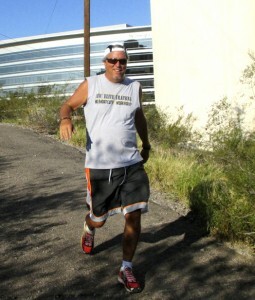 I started back with AVC Elite training in 2010 at age 50 but really focused only on the activity side of the equation. I ate somewhat better, but could still use improvement not always making the best food choices. I had little success changing my body composition. While I got stronger and did feel better with more consistency in my fitness, my weight changed only slightly. I knew I had to do more. About 2 years ago I decided to focus on the complete package of exercise and nutrition following Amy’s constant advice. Nothing over the top, but simple changes that would sustain me for a lifetime in regards to my overall health, nutrition and my fitness. I knew that the only sure way for these changes to occur were to take them slowly and “one day at a time” as Amy always tried to teach me. I incorporated better eating patterns emphasizing eating “super clean” as Amy always tried to direct me. I focused on Non-GMO organic foods including a more balanced diet making sure I was getting as many nutrients as possible as Amy constantly tried to share with me over the years. I eliminated my fast food intake and made smarter meal choices on the road when I traveled which can be very difficult to do but by no means impossible. I also stepped up my workout routine by adding some weekend workouts and staying consistent with AVC Elite Training’s two day a week Training program. This was the perfect combination that worked! Two years later I have dropped 23 lbs and I feel stronger and leaner than I have in years. While I can still afford to drop a little more fat, I now understand that with my continued improved lifestyle of health, fitness and nutrition I will continue to improve even more so in time. I have finally discovered for myself the key to success instriking a great balance in life and am now experiencing positive changes both inside and out. It took me a while to learn this but with age there is wisdom, right? My cholesterol improved significantly with my numbers now all in the “normal range.” This was done all natural with no gimmicks, no drugs…just hard work with improved nutrition and exercise. I will continue to live and practice this lifestyle as I have never felt better in my life and I am not getting any younger. Thanks to Amy…I am getting stronger, healthier and now needing a belt on all of my PANTS! 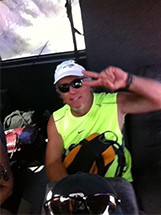 This entry was posted in AVC Elite Training by avcelite. Bookmark the permalink.